It’s our immense pleasure to deliver what we create. We absolutely love bringing the pies. We can also cater event. We do not take travel and delivery charges. You can get discounts on the larger orders. Do not worry about noisy generators. We have heated truck pies with propane. We bake pies in our kitchen and hand it out with care and love as we believe” love is spicy anyways”. We have daily schedules of your favorite Guma spicy pies. Our truck is well appointed and spacious, and aimed for high- end residential, outdoors, business district as well as tourist attractions. 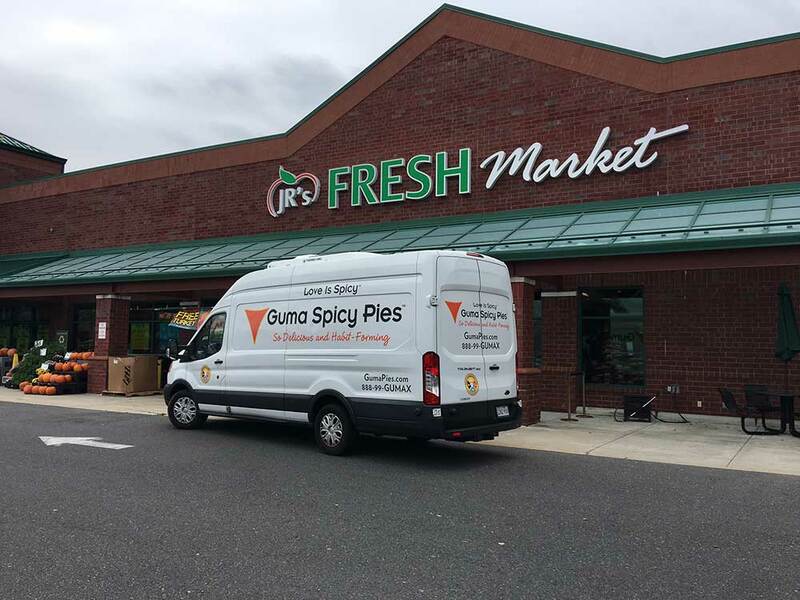 We just do not deliver food; we want to deliver love and benevolence.Our major attraction is unique and delicious appetizers specially known as Guma Spicy Pies that gets ready within minutes. This dish has tried to change traditional restaurant appetizer into the new kind. Similar to samosas or empandas, this Guma pies are too heavenly to eat and habit forming. You start through one and then end up in eating more than 5.